Jackson Rathbone is an American singer and actor probably best known for the role he plays as Jasper Hale in the twilight movies based on the books written by Stephanie Meyer. Although American, Rathbone was born in Singapore and grew up living all over the world because of his father’s job with the Exxon oil Corporation. Jackson’s hairstyle for his character is Jasper Hale has changed from one movie to the next. In the first twilight movie, his hair was medium length with sideburns that jailed so heavily that it almost looked plastic. His entire appearance looked fake in this particular movie, making him look almost like a mannequin. For the second movie, New Moon, his hair is still a medium long length but looks more natural. Rathbone has naturally wavy hair which gives it texture. For the second movie, he was not forced to wear as much gel, therefore his hair and his entire face appear more realistic. In addition to his character as Jasper Hale, Rathbone is also a singer for the group 100 Monkeys. His natural hair color is also dark as opposed to the blonde he plays in the twilight movies. Fans have offered mixed reviews on the different hair styles worn by Rathbone. The general consensus is that he looks better with his hair its natural color and some stubble on his face as if he had not shaved that day. Of the hairstyles worn in the twilight movies, reviews are even more mixed. Many fans preferred the new look as seen in the New Moon movie because it looks more natural. There are, however, some who think this hairstyle is outdated and looks like it belongs in the Civil War era. Almost no one prefers the hairstyle worn in the original twilight movie because it looks entirely to fake. 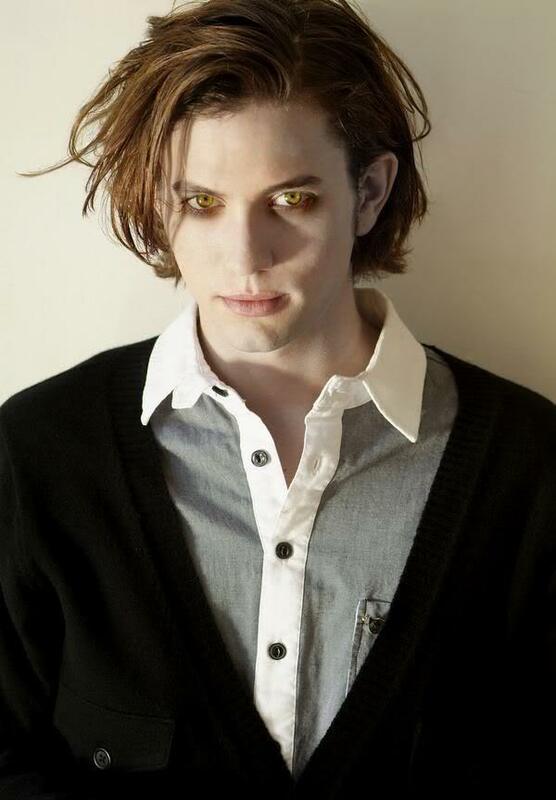 The reason his hair looked "Civil War era" in Twilight was because Jasper Whitlock was turned into a vampire during the Civil War. Go figure. I like the one in the first picture, do you think it would be possible to achieve that with straight hair? I don't have wavy hair like how you say he does. I think that alot of the hair in the first Twilight was sort of overdone and ‘plastic’. But Jaspers hair was appropriate considering he WAS turned during the Civil War, and nowadays that sort of hairstyle is in.